Patricia Rodriguez joined HSE as a Vice President in 2016. She has over 15 years of experience in government banking and public finance. Ms. Rodriguez began her career in Texas state government where she worked as a Legislative Aide for a member of the Texas House of Representatives and also the Lieutenant Governor of Texas. Upon leaving the public sector she worked for Southwestern Capital Markets, Inc. and then opened a public finance office in San Antonio, Texas for Banc One Capital Markets. After Banc One was acquired by JP Morgan she worked as an investment banker and then a government banker in their Dallas office. 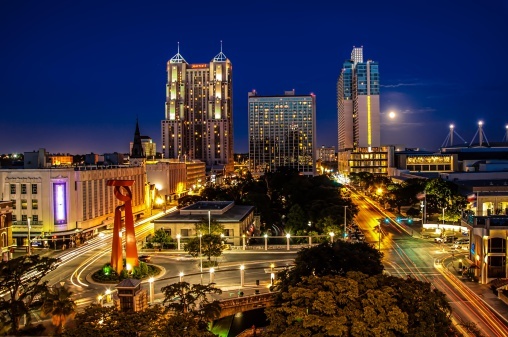 She returned to San Antonio in 2007 as a Vice President with Wells Fargo Bank to start their Government and Education Banking department in Texas. Since 2011, she has worked as a political consultant and also as a Political Director for a national non-profit. Ms. Rodriguez has a B.A. in Political Science from Southern Methodist University and a Master of Public Affairs from the LBJ School of Public Affairs at the University of Texas at Austin. She is very involved in the San Antonio community and serves as a Trustee for the VIA Metropolitan Transit Agency and as a member of the City of San Antonio’s Charter Review Commission.